An appeal is being made for help to identify a man in connection with the theft of a purse in Lincolnshire. Officers say it was stolen from a woman's handbag in Sleaford around 4pm on March 19. Donna Crichton says her relationship with a Lincolnshire hospital trust is "broken beyond repair". A protest is being held in Spalding against plans to build a relief road for the town. Residents are angry that as part of the proposal several homes on Bourne Road could be demolished. Protestors will gather outside South Holland District Council offices on Priory Road today and tomorrow. The Environment Agency says Boston's flood barrier is due to be fully operational next year. The project, which will protect the town from flooding, is one of the biggest flood defence projects in the country. The metal barrier itself will be the size of a tennis court when it's installed. Network Rail is installing a pontoon bridge on Lincoln's Brayford Pool today. The firm says it will help access to the University of Lincoln. It's because work on a new railway footbridge on Brayford Wharf East is taking longer than expected. The Princess Royal is at Boston Stump this afternoon. The Princess, who's the patron of The Boston Stump Restoration and Development Appeal is looking at the ongoing restoration work. A midwife who says she was stopped from working because of her bright red hair has now resigned from the trust which runs Lincolnshire's hospitals. 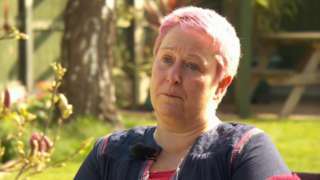 Donna Crichton was told last June that her hair colour was not acceptable under United Lincolnshire Hospital Trust's (ULHT) uniform policy, even though she says her hair had been that way for years. ULHT says it has a dress code that it expects to staff to follow. I have to be who I am....I feel that the relationship with ULHT is broken beyond repair despite everything that I've done. It's claimed small businesses across Lincolnshire will have to pay around £500 to comply with new government regulations. The Making Tax Digital initiative, which comes into force today, aims to make tax administration more efficient. But the Federation of Small Businesses say it will be costly to members. The pressures are going to be on smaller businesses to decide whether to pass on some of those costs to their customers, or whether to absorb those costs themselves." A gambling charity which supports people in Lincolnshire is welcoming new caps on fixed odds betting machines. The government has reduced the maximum stakes from £100 to just £2 in a crackdown. They were labelled once the crack cocaine of problem gambling. I really welcome the fact that people will get in less trouble with them and maybe be able to play them sensibly, or not at all." Six thousand NHS patients in Lincolnshire will see their pain services change from today. They're being promised new treatments such as physiotherapy and lifestyle advice alongside medication. Appointments will be held across communities instead of inside hospitals. People that need those treatments will continue to get those, but in addition will be offered... psychological support and access to advice in terms of lifestyle, diet, exercise, so they can adjust how they live their lives so they can learn to live with the fact they've got chronic pain. Video caption: The 60-year-old floodlight pylons at Grimsby Town's stadium are being replaced.The 60-year-old floodlight pylons at Grimsby Town's stadium are being replaced. A busy road in Lincolnshire will be closed for two weeks from today for pothole repair work. £160,000 is being spent on a stretch of the A1500 Tillbridge Lane in Sturton by Stow. Diversions will be in place for the duration of the work. 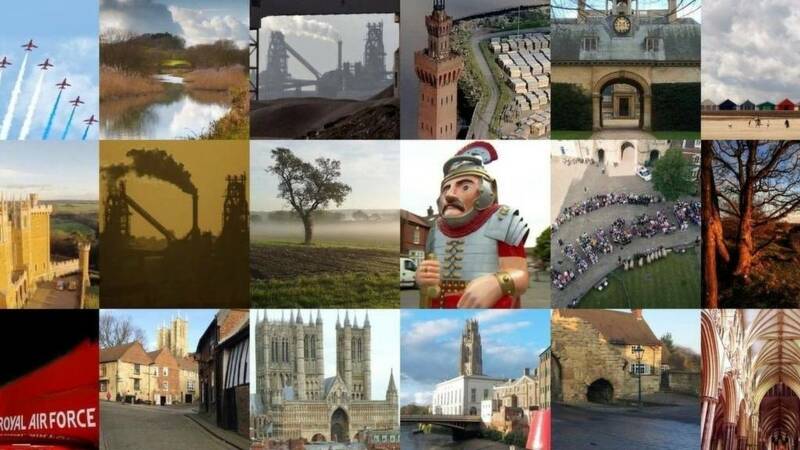 Lincolnshire County Council has apologised for any delays. The Princess Royal will today see the progress of a three-mile tunnel which is being dug under the Humber. Princess Anne will be given a tour of works on the tunnel, which will house a new gas pipeline running between Goxhill in North Lincolnshire and Paull in East Yorkshire. Work started last year on the £100m National Grid project, which is currently an estimated two thirds of the way to completion. Health managers say type 2 diabetes has become an "enormous" problem in Lincolnshire. They say the county has some of the highest rates in England. Although it can be genetic, it's mostly caused by a lack of exercise and a poor diet. It's enormous. Some parts of our county, anything between 10 and 12% of the population have it. We think there's at least an equal number who are in what we call the pre-diabetes stage." It's going to be a dry but cool day in Lincolnshire.